We invite you to talk with us regarding opportunities available within New Zealand as may suit you. The 'general team' structure is - Consultants, Registrars, SHO/House-Officers and Year 1 House Officers, but can vary between hospitals and within individual departments with specific clinical requirements. Clinical duties, education and training, work schedules along with hours of work and Roster and salary are based on Multi-Employment Collective Agreement as discussed and agreed by the New Zealand District Health Boards and the Resident Doctors Association. The term Senior House Officer, refers to a House Officer in the third year of experience following graduation or higher. Hospitals within New Zealand do not always differentiate between levels of House Officer Positions, and therefore do not all have positions which are designated as SHO positions. Doctors can be offered posts as Year 3/4 House Officer. Some hospitals may offer specific Speciality runs as designated SHO runs. Eligibility depends on previous training, experience and post graduate exams and criteria can vary between hospitals and also within individual departments depending on specific clinical requirements. 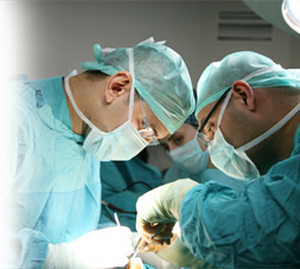 At some hospitals, basic registrar positions in Surgery and General Medicine may involve rotating through the various specialities. Those appointed are asked for their rotation preferences. Registrar positions in other individual departments tend to be non-rotational. Some registrar posts are retained by respective New Zealand colleges for training allocations. Senior Doctors who have not yet gained a post graduation qualification or completed Specialist training. Please discuss with us for more details. Individual roles may vary within specific hospitals.